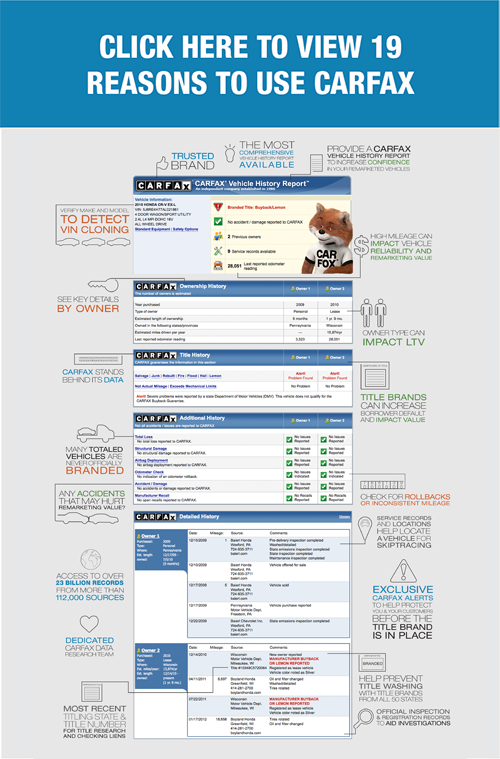 The CARFAX Vehicle History Report is the industry standard, delivering more insight into a vehicle's history than any other source. Thousands of professionals rely on CARFAX as an integral part of their business. Contact us at 800-789-6232 to learn more about specific applications for your business and to take advantage of our discounted corporate rates.